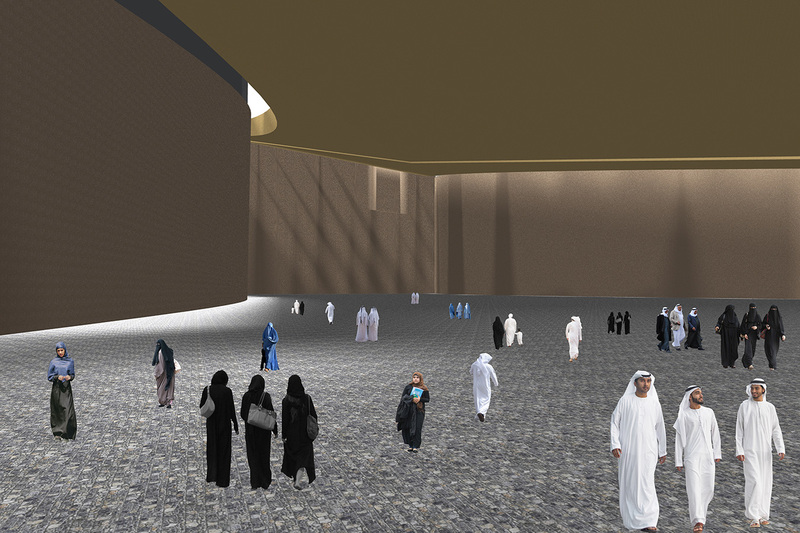 This is an iconic mosque in Dubai, a dynamic and holy space with rising roof and top light towards MECCA. 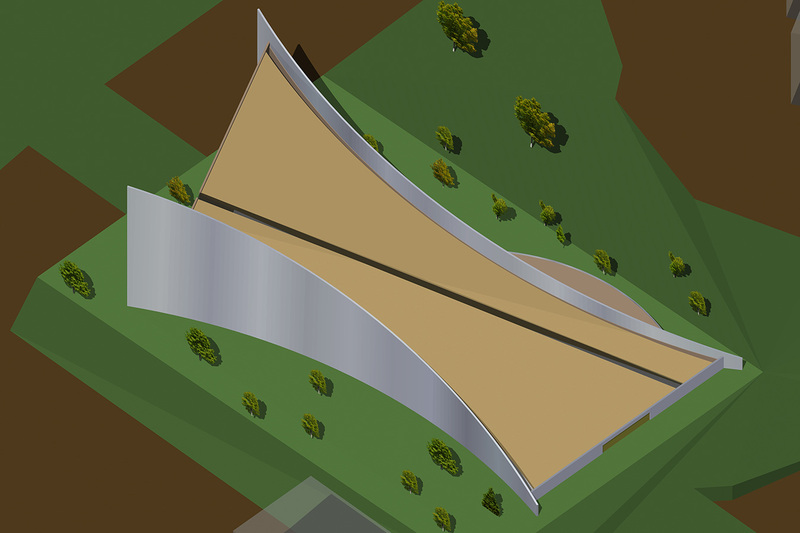 The form consists of two curved walls which rise to MECCA and to the sky. 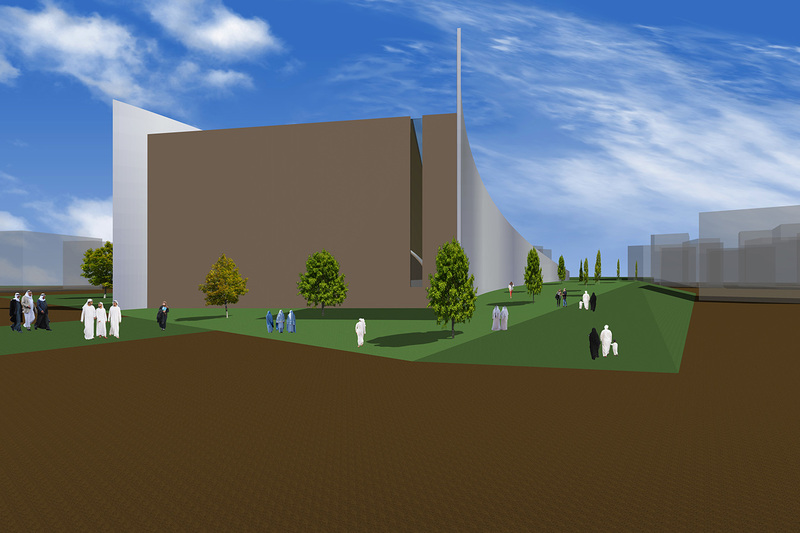 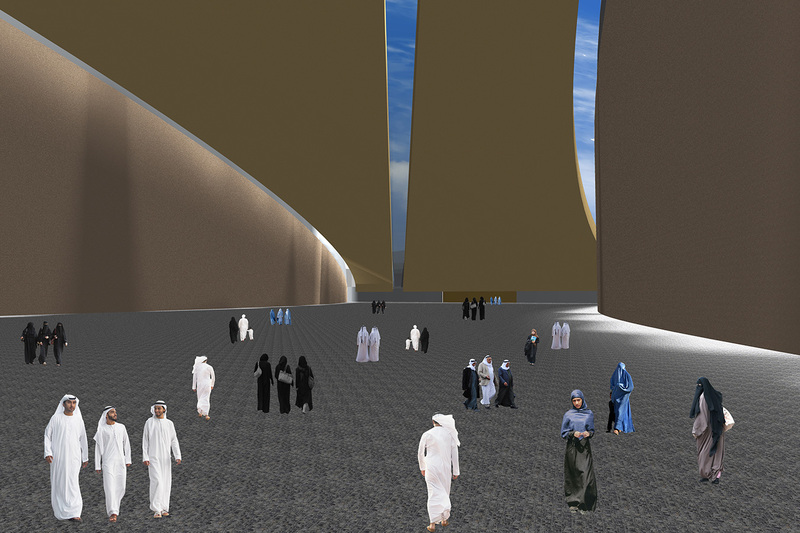 Responding to the urban axis and the axis to MECCA, the curved walls are placed in line with the axis. 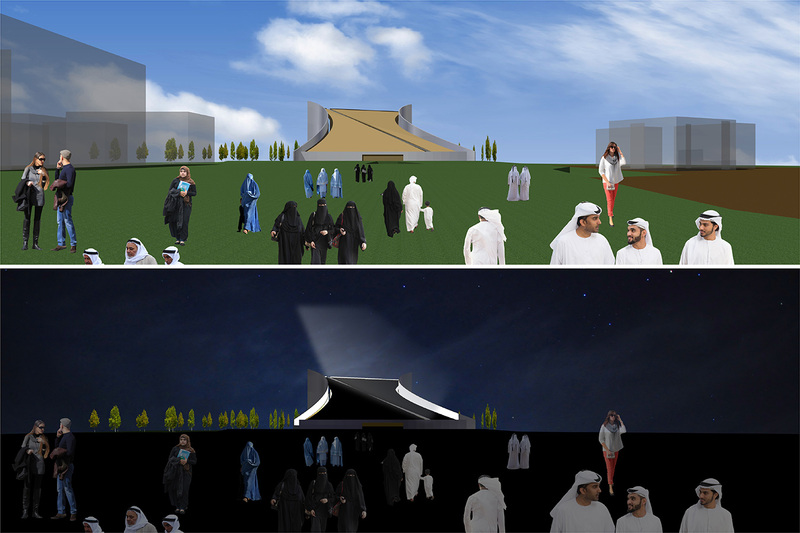 At night, the rising top light shines itself and provides iconic silhouette and the way to MECCA which would be embraced by people there and become one and only urban scene. 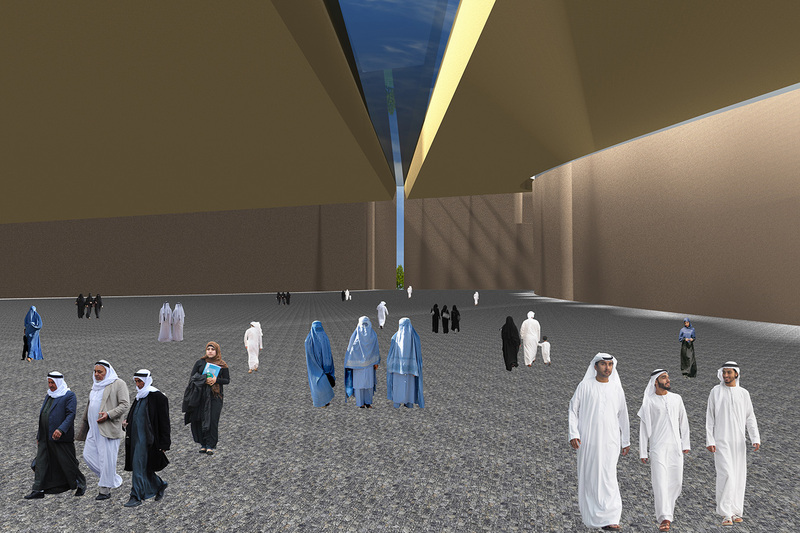 Rising Light Mosque will be totally an unprecedented architecture by its special iconic form, symbolizing the bright future of the culture and people of Dubai, providing tranquil spaces for worshipers, attracting innovative minds from all over the world.